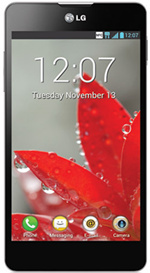 LG Optimus G is LG's new flagship phone. Features with a 4.7-inch HD display screen, 13.0MP camera, a 2100mAh battery and runs Android 4.0. Besides, the display will be a True HD IPS LCD with an RGB matrix and resolution of 768 x 1280. The quad-core 1.5GHz Qualcomm Snapdragon S4 Pro APQ8064 lets quad-core and LTE play together and 2GB of RAM is on board. With large size HD display, LG Optimus G is a great handset to play movies or vidoes. That is even better if it can play your favorite movie DVDs on your spare time! And the question comes: how to use a smartphone to play a DVD disc as no DVD drive is with it? Actually, you just need to convert DVD movies from the disc to video formats supported by LG Optimus G like MP4, then you can watch your favorite DVD movies without limits! What you need to make this? Any DVD Cloner Platinum is the best DVD to LG Optimus G Converter you neeed. How to convert DVD movies to LG Optimus G? Step 1. 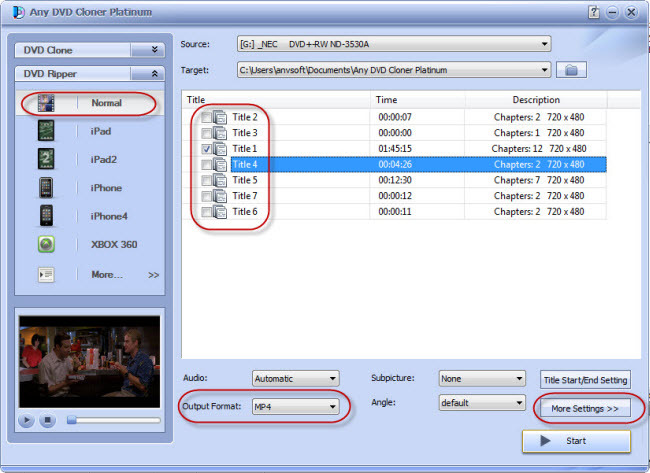 Import DVD titles in DVD to LG Optimus G Converter - Any DVD Cloner Platinum. After clicking button and all titles will be loaded in the program. Step 2. Choose output format. 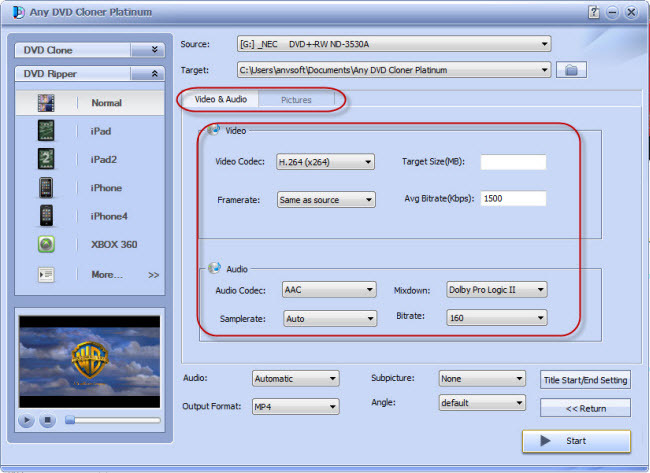 Go to "DVD Ripper" and choose "Normal" in the list so as MP4 can be selected as "Output Format" which is supported by LG Optimus G.
Step 3. Customized settings. You can click "More Settings" if you like to customize video, audio or picture up to your preferences. So you can get the perfect output video for LG Optimus G.
Step 4. Click to start the ripping process. Wait for a while, the video will be generated successfully. Transfer it to LG Optimus G and then you can watch the movie with phablet freely. How to convert DVD movies to Huawei Ascend D2/Ascend Mate? How to convert DVD to Huawei Ascend W1?